Dense bushland and damp ground conditions at the project meant sourcing samples of the necessary quality to improve modelling was an ongoing challenge. The existing drilling method used lacked the ability to drill under the water table while the high energy and air consumption of the alternative air-core drilling method proved unsustainable. It was clear only a project-specific solution would achieve the targeted results. Following a competitive tender process, JSW’s solutions-focused approach and innovative drilling concept won it the three year labour and equipment hire contract. Drawing on their experience, knowledge and creativity, the JSW team developed a drilling method to handle the specific project conditions. After nearly four months in R&D, JSW completed the design and development of a new special purpose, small foot print drill rig, comprising a unique drill bit, drilling method and customised tractor carrier. Following significant infield testing and multiple engineering improvements, JSW now has five of its BF150R proprietary drilling system drill rigs onsite. 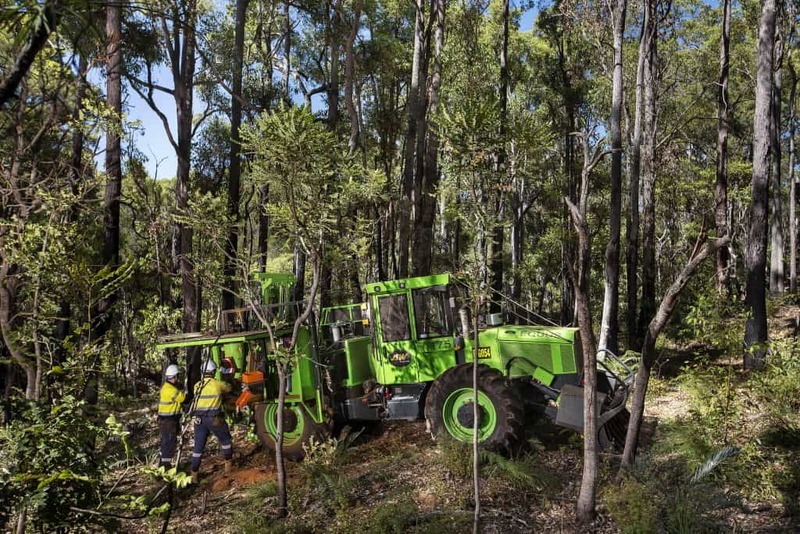 A further two rigs, which will use a larger customised tractor carrier (EQ150R) to enhance the rigs’ performance over the difficult terrain, have recently been commissioned. Key to the rigs’ capability to deliver the required sample quality is the custom-developed drill bit which delivers superior samples in varying conditions. The rig design improves safety via a number of special features including remote control drill operation and a carousel which enables rod changing without manual handling. The rigs are also fitted with JSW’s newly developed proprietary Smart Drill Data (SDD) system. The SDD system is expected to deliver significant time and cost efficiencies by enabling more accurate and efficient data capture and transfer during drilling projects. Forty sensors on each machine record and report drilling activity in real-time. The technology provides single point data entry, reduces processing times and facilitates greater visibility of project progress and productivity. Producing a dry sample from wet conditions has allowed JSW’s client to achieve the required sample quality to potentially improve its resource model.